Please come and join us in celebration of our Passover Lamb, Jesus Christ! 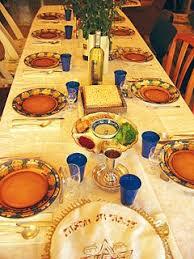 We will begin our resurrection celebration with a Passover meal at Sunset in the Church building. Bring your children to experience this historical event! Please check the “Going” box at the Breath of Life Facebook page or call or text to (208) 250-8532 to let us know how many places to set at our large family table. This will be an alcohol free meal! There is no cost but donations will be welcome at the event.